Round 3 and 4 were played on August 9th. Han Enyi: Won both games. His next opponent Zhang Yichao(张奕超) 5D is a high school student from Beijing. Zhang is one of those rare cases that has never trained at any professional Dojo. 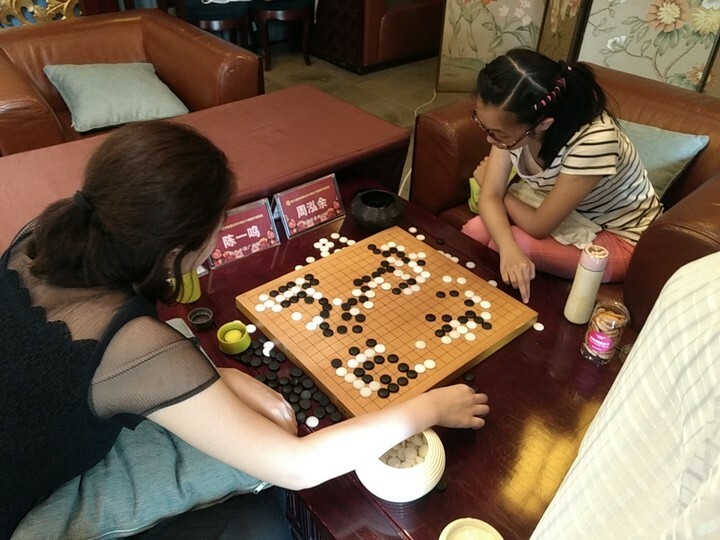 Zhang studied Go by playing one online game and review afterwards every day. 6 points (you earn 2 points per game won). 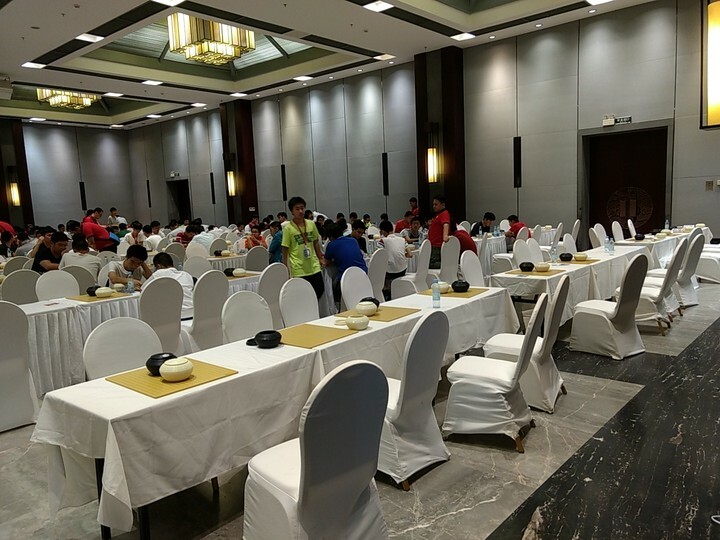 Zhang Xinyu: Won in round 3 but lost to Luo Zhuofan 7D in round 4. 4 points. Hu Zihao: Still undefeated. 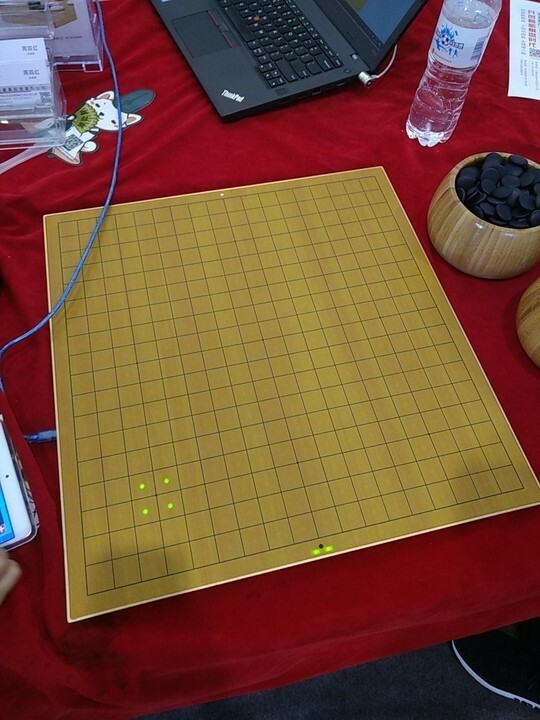 Hu beat Gao Yidian(高逸典) 6D in round 4. 8 points. Luo Zhuofan: Lost to Zheng Zijian 6D then beat Zhang Xinyu 5D. 6 points. Wu Yiming: Our wonder kid is also undefeated. She gave Chu Ke'er 6D her first loss in round 4. 8 points. Wen Zhaojing: 1 win 1 loss. 4 points. Do you think the event is opened for visitors to have a look inside, and maybe take some pictures? I would think so! And would hope so! It is definitely worth a try. And there are tons of events at the Go Congress. There was a booth that has a robot acting as the arm for an AI (I think it was Golaxy). Looking forward to some pictures from you! Edit: Keep in mind that the pro qualification will have an off day on August 11th. Last edited by wolfking on Fri Aug 10, 2018 11:25 am, edited 2 times in total. I cannot believe I missed this but it turns out that this year's Go Congress has another event that can issue pro certificates (there will be 14, 10 male, 4 female) to the top finishers. And this one does not have an age limit! The name of the event is a mouthful. 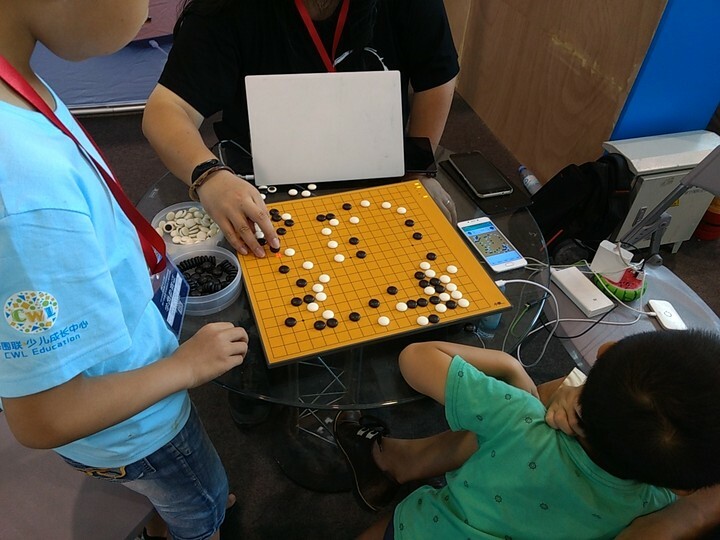 It is called "Hundred-Thousand-Ten Thousand Project" All People Weiqi Dan-Kyu King of Go Final (“百千万工程”全民围棋段级位棋王赛总决赛). The "Hundred-Thousand-Ten Thousand Project" is short for "Hundred City - Thousand County - Ten Thousand Town All People National Go Promotion Project". The "All People" part refers to the fact that there was no age limit or strength requirement for participants. The event probably started preliminary stage long ago and now is the final stage at the Go Congress. The competition is split into 7 groups. 5 groups ranging from 1 Kyu to 4 Dan. 1 male, 1 female group for 5 Dan and above. It is the 5 Dan groups that will issue pro certificates. 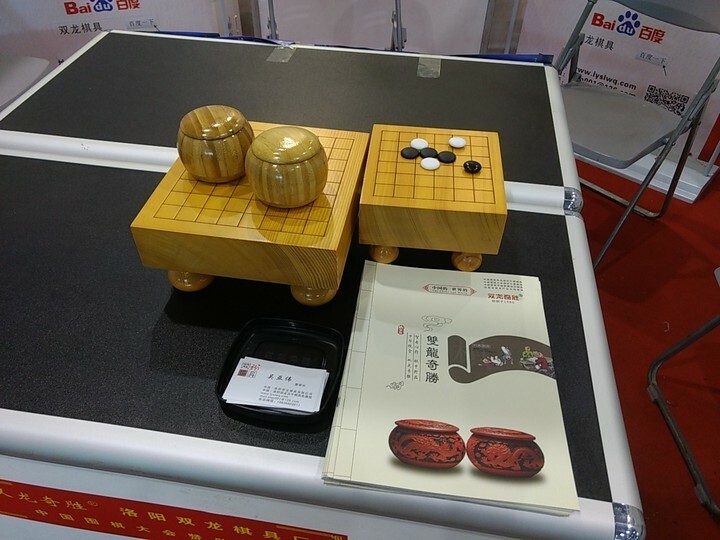 The winners of the two 5 Dan groups will be issued a "King of Go" certificate on top of pro status. I knew about this event but did not know that 14 new pros will come from the event. I chose not to even include it in the Go Congress introduction because the name was too hard to explain in a short passage. But now I have no choice . I will cover it along with the Pro Qualification Tournament. And there are some interesting people in this event that I would like to talk about later. Edit: I will call this event the HTT (short for Hundred Thousand Ten thousand) Final. Back to the promotion tournament (including the HTT event). By the way the HTT 5 Dan groups have the exactly same schedule as the Pro Qualification Tournament. So on August 10th both events played round 5 and 6. Zhang Xinyu: 1 win 1 loss. 6 points. Hu Zihao: Beat Tang Tianyuan 5D but suffered first loss at the hand of last year's Qingdao Press Cup champion Lu Liyan 6D. 10 points. Luo Zhuofan: Beat Yang Tingxuan 6D but lost to Wang Junxiao 6D. 8 points. Wu Yiming: Still undefeated. Will play Huang Jiayi 5D in round 7. I think she has a chance to go undefeated all the way. Did I mention that Surma did not have a chance after the opening? I heard she started strolling around early in that game . On the other hand she started last year with 5 wins in a row too so there is no guarantee because the competition is simply too strong. 12 points. Wen Zhaojing: Lost both rounds. This is probably not the year for her. Well she is 5 years younger than her big sis so plenty of time left. 4 points. 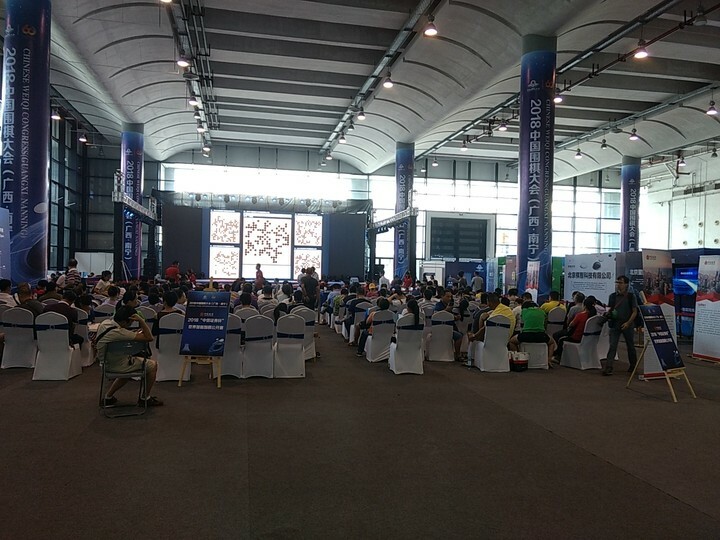 There are 108 male participants and 32 female participants in the HTT tournament. I think it is easier for players to earn pro status in this tournament than the PQT. I got one thing wrong though. The woman's group in this tournament only plays 11 rounds. So far there are 2 undefeated players on the man's side and 1 undefeated player on the women's side. 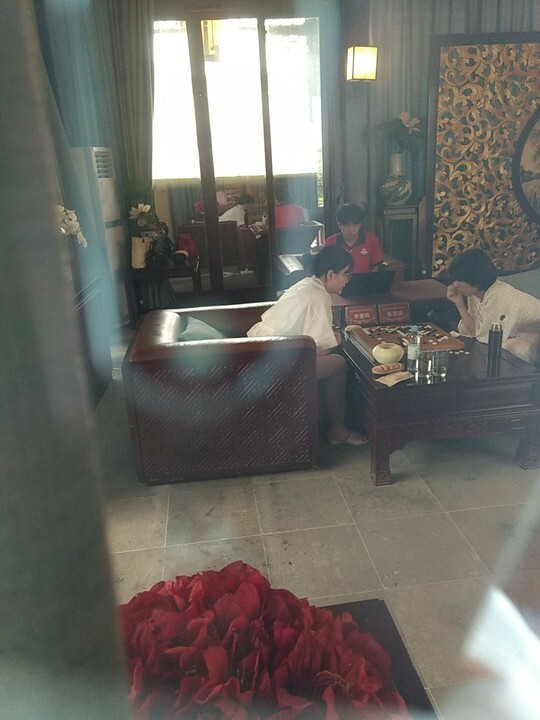 One match up I am particularly interested in in the women's group is Wang Rui(王锐) 5D vs Deng Xinyi(邓歆懿) 5D in round 7. 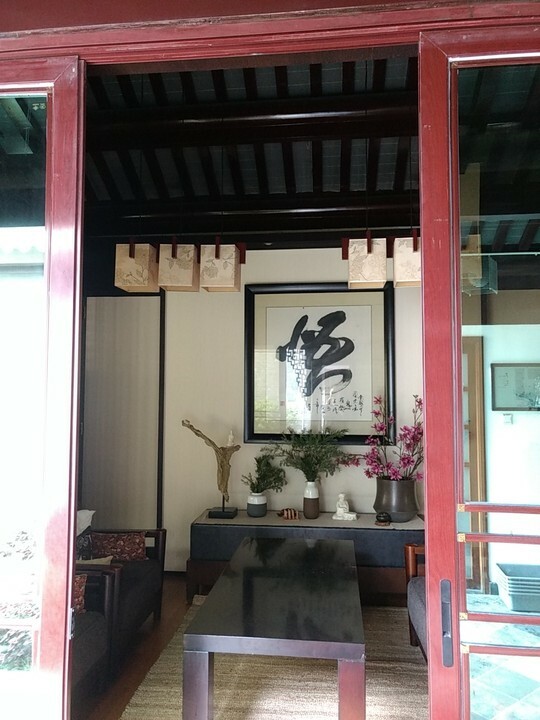 Wang Rui was a young girl fighting to be pro 20 years ago but it did not pan out for her and she became a university student instead, majoring in journalism. 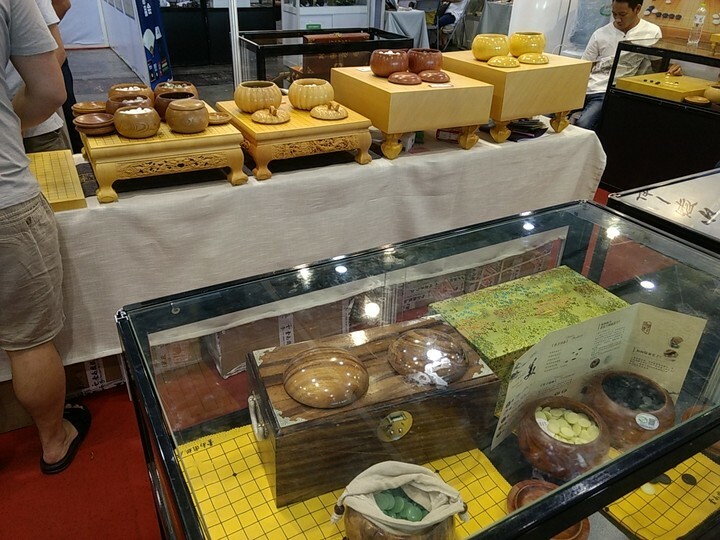 Now she is a well known Go journalist, commentator and writes for the popular Go magazine Weiqi Tiandi. She is married to a pro and have two kids. 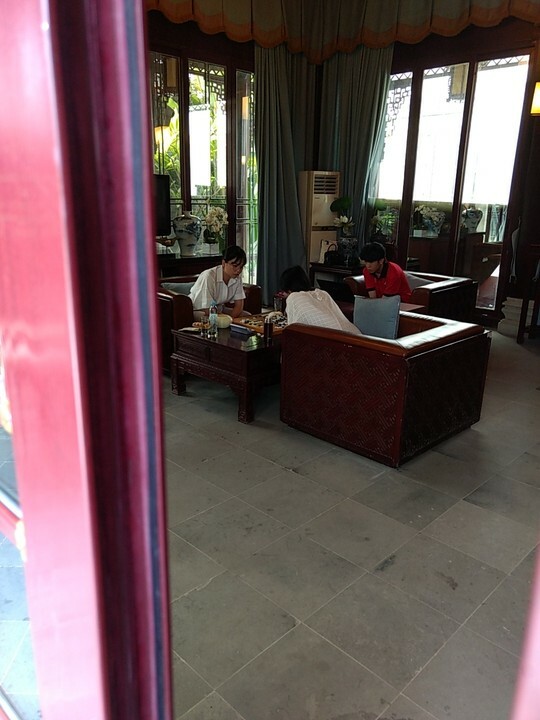 Her husband is Huang Yizhong(黄奕中) 7p. Deng Xinyi has similar experience as an young amateur aspiring to be a pro, but is one generation younger than Wang. 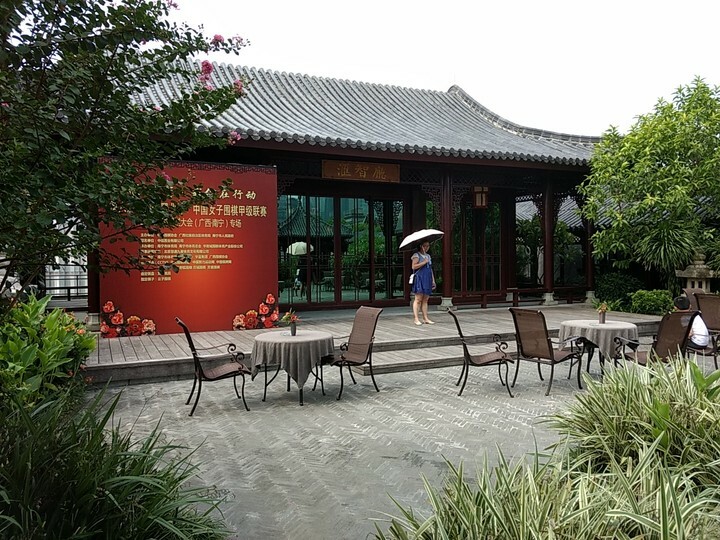 She started her own Go school in Beijing and now the school has 5 branches. She also appears online or on TV as commentators from time to time. I think these two are in the tournament probably more for the fun of it but it does not hurt if they get a pro certificate along the way. Wang has 3 wins while Deng has 4 wins after 6 rounds. Last edited by wolfking on Mon Sep 17, 2018 9:19 am, edited 2 times in total. 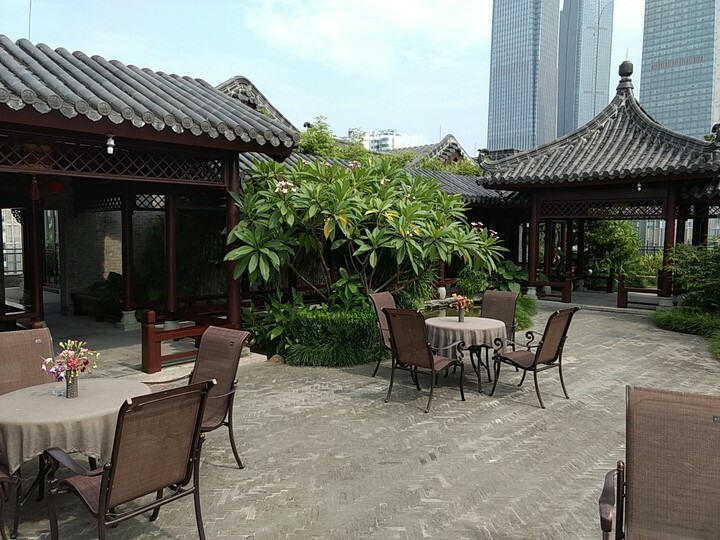 So if was not possible to enter the playing room, and those area were every were waiting had no AC, it was very hot (as expected from NanNing in August), so I was not really considering to stay longer, call it a day and leave. So those 2 matches were team GuangDong (where GuangZhou/Canton is located) versus another team that I cannot identify. Anyway, that was fun. 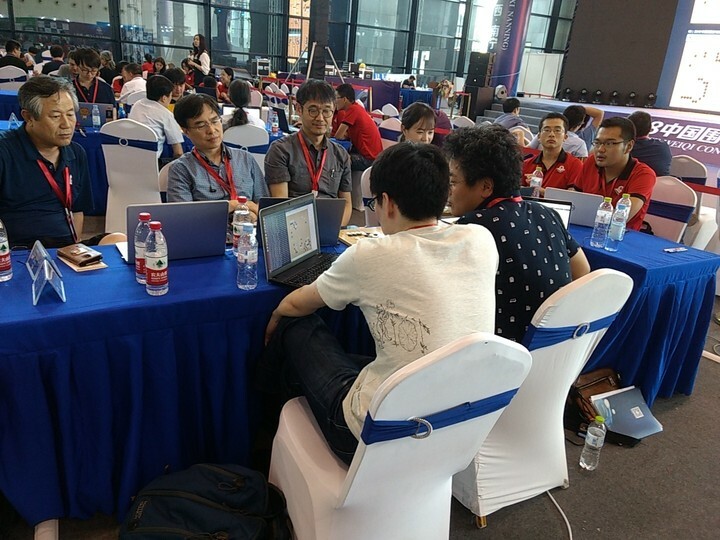 All the pictures are in http://yuntingdian.com/2018_Chinese_Pro_Qualification/ if you are interested. pnprog I am so happy to see that you actually went there and took pictures! And I regret that I did not give you enough info for the activities there. The games you saw on the rooftop were Women's A-League 9th round games between Team Wuhu and Team Guangdong. 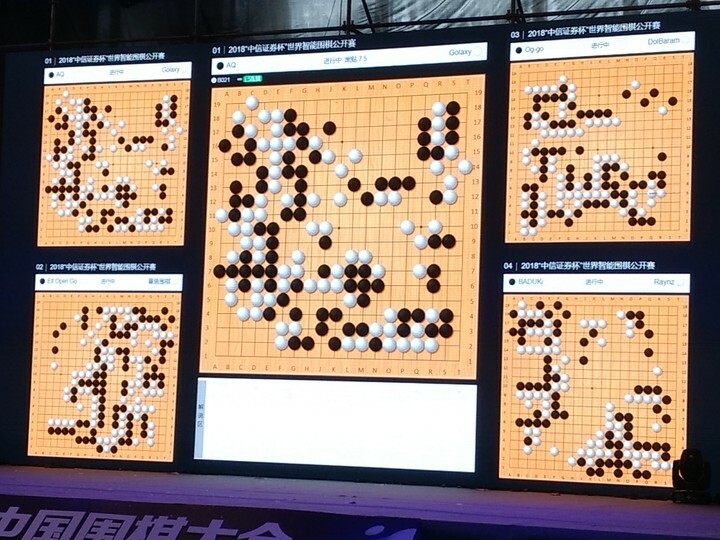 The first picture was Korea's Lee Sula 4p (on the left, Team Wuhu) vs Cai Bihan 3p (Team Guangdong). 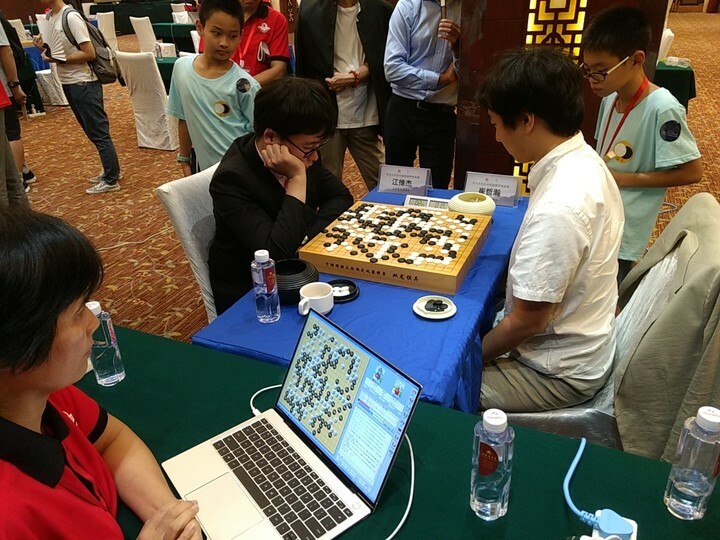 Second picure was 16 year old Zhou Hongyu 4p (on the right facing camera, Team Wuhu) vs Chen Yiming 3p (Team Guangdong). The men's A-League will also play two rounds in Nanning at the Go Congress on the 13th and 15th! And If I am not mistaken everybody will be there! You should be able to snap some selfies with Ke Jie, Chen Yaoye, Park Junghwan, Mi Yuting etc.（those four will play each other in round 12 on the 13th） Or get some autographs! However the venue for the A-League games is not NanGuoYiYuan. 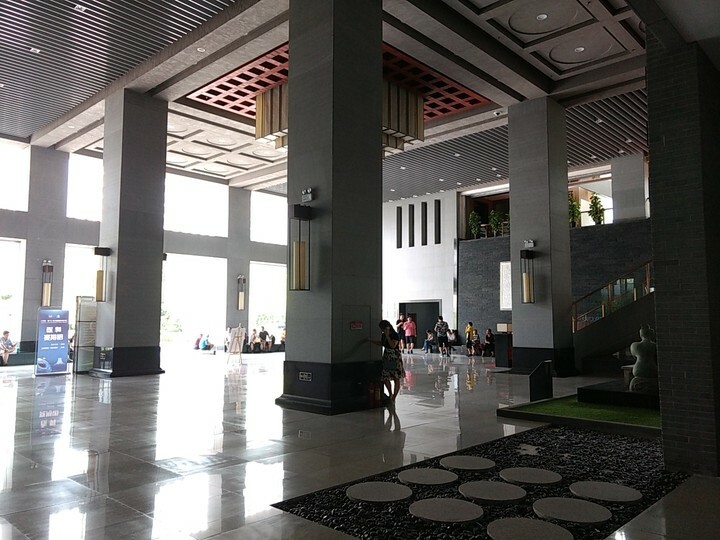 It is at the 4th floor Berlin Hall (柏林厅) of Nanning Red Forest Hotel (红林大酒店). 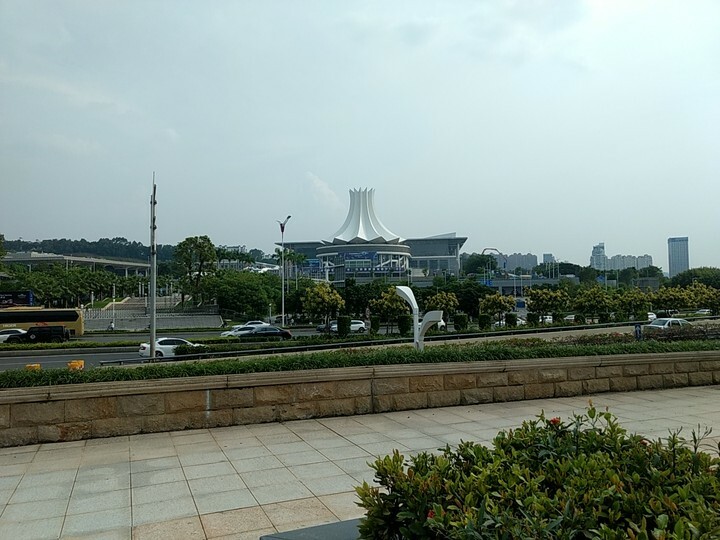 The Go Congress' main venue is the Nanning International Convention and Exhibition Center (南宁国际会展中心) which is about 800 meters to the south of the Red Forest Hotel. Here is August 13th event schedule in Chinese. 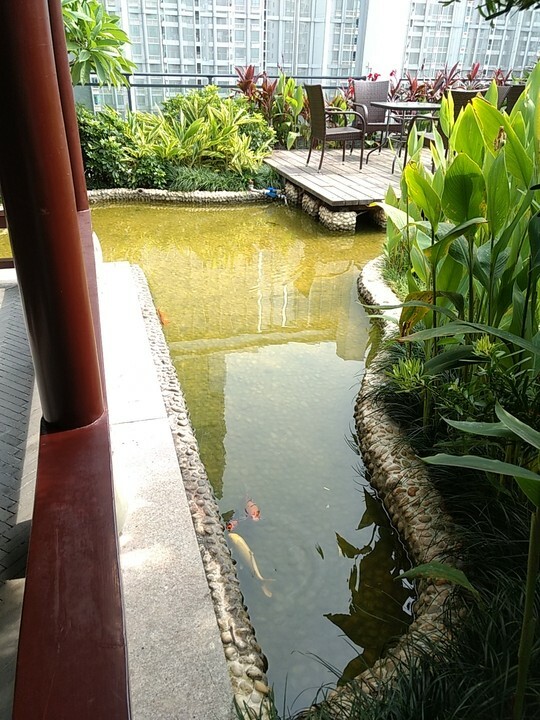 The last column is event venue. Last edited by wolfking on Sun Aug 12, 2018 4:03 pm, edited 3 times in total. Results of round 7 and 8 played on August 12th. 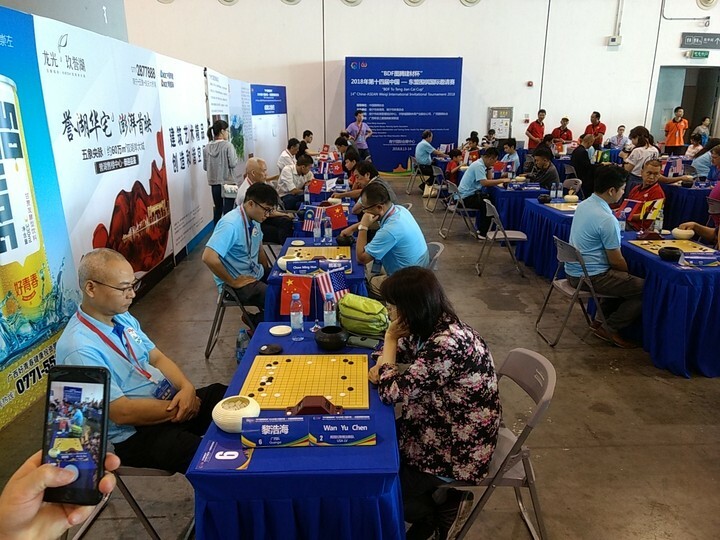 Lu Liyan (吕立言) 6D is the only player that is still undefeated on the men's side. 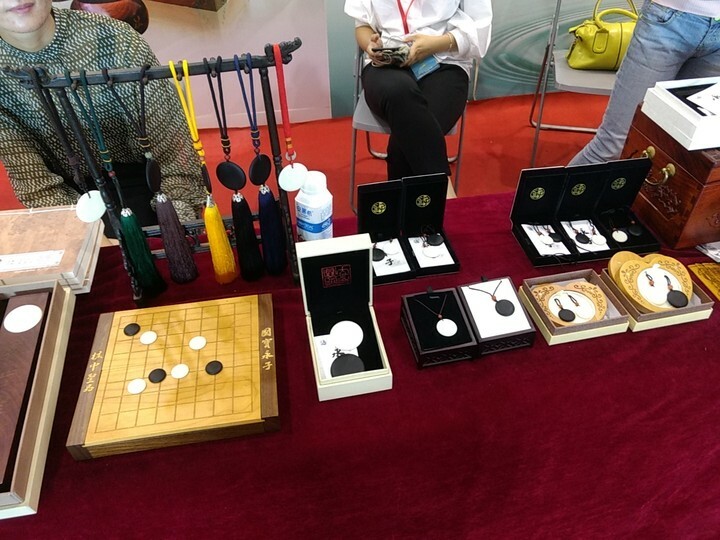 Zhang Xinyu: Lost both ganes. With 5 rounds left he needs to win out from here to have a chance. 6 points. Hu Zihao: Lost to Shi Ji(史记) 6D but beat Li Haotong (李昊潼) 7D which is quite impressive. 12 points. 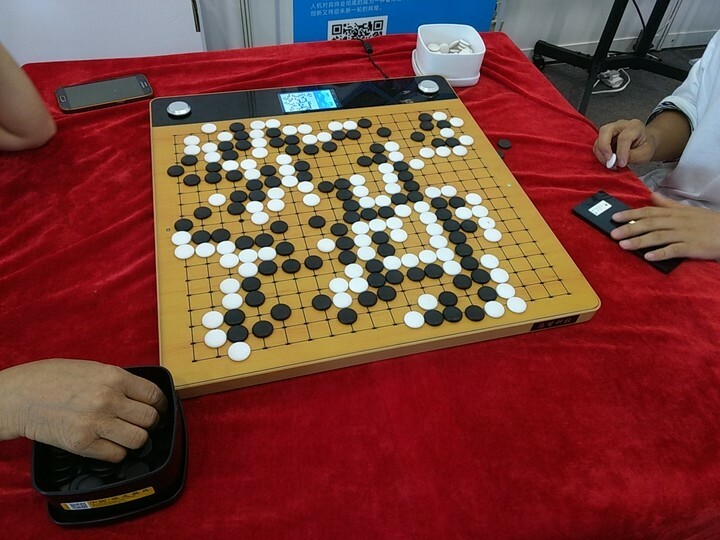 Luo Zhuofan: Won both rounds. 12 points. Wu Yiming: And she is still undefeated! 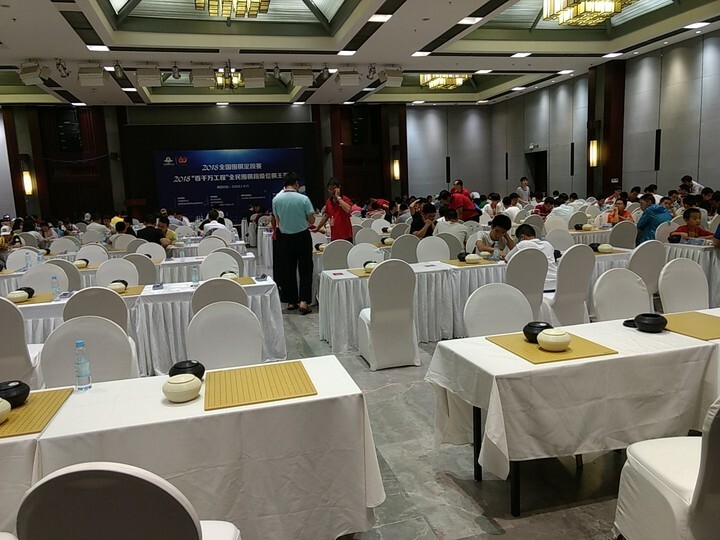 Will play Xu Jingqi 6D in round 9. She is almost guaranteed to earn pro status. 16 points. Wen Zhaojing: Won 1 lost 1. 6 points. Nie Fenglin (聂峰林) 6D is the only player undefeated on the men's side. 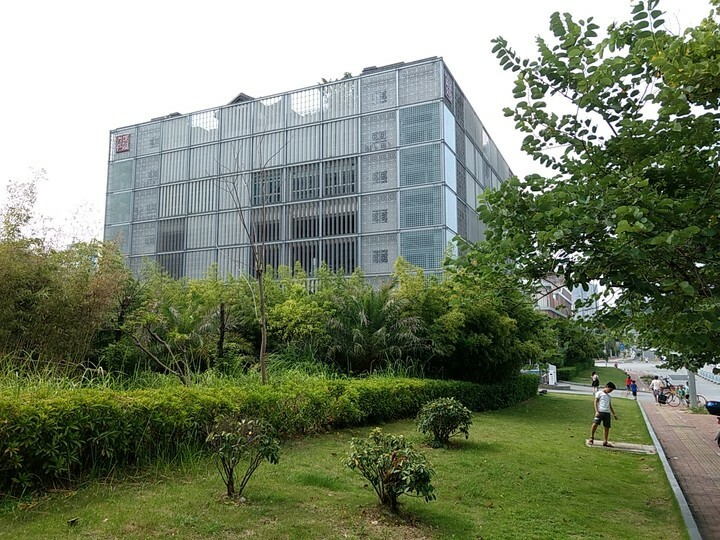 On the women's side it was Wang Zhen(王祯) 6D. She missed 2012 pro qualification by one game and went to Shanghai Foreign Language University. Now she might finally fulfill her dream. 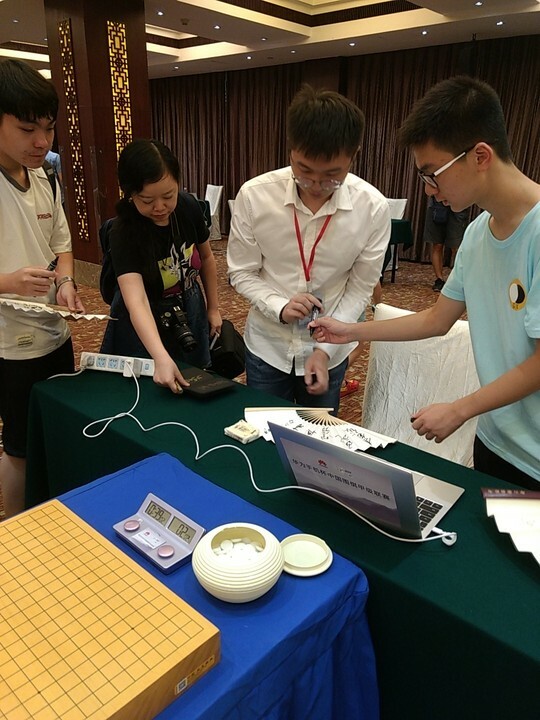 Deng Yinyi 5D beat Wang Rui 5D in round 7 but lost to Chen Yilin(陈奕琳) 5D in round 8. She has 8 points. Wang Rui has 8 points. The results of the 10th round is not posted yet, but we already know the 3 names that are qualified for pro status after 10 rounds. On the men's side it was Lu Liyan 6D and Sha Xingyu(沙星宇) 6D. They qualified through "Early Qualification". 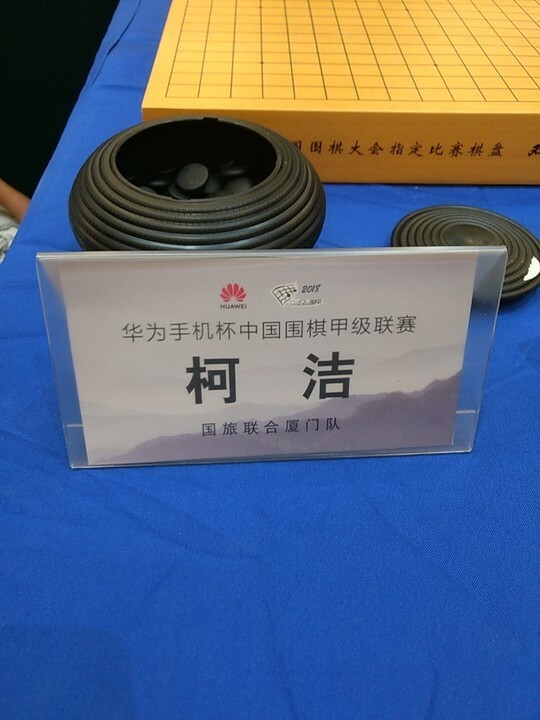 On the women's side it was Wang Zhen 6D in the HTT Project. The HTT does not have early promotion but Wang 6D will qualify even if she lose the last round (HTT Women's Group only plays 11 rounds). 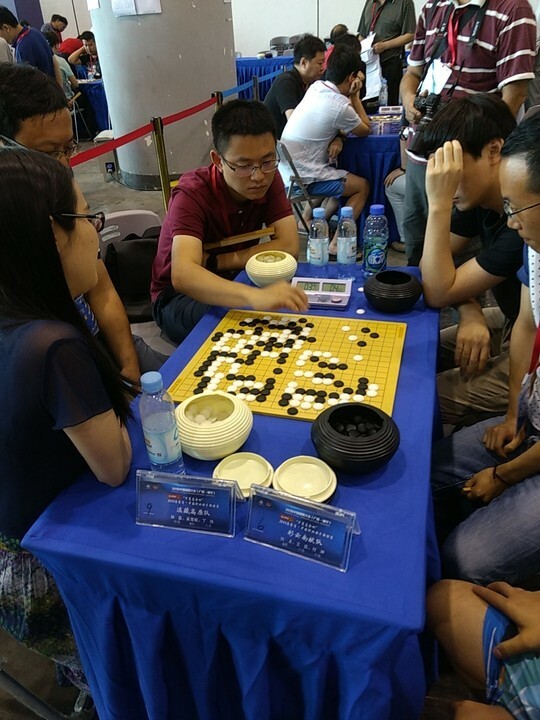 Wu Yiming 6D finally lost to Jin Shan(金珊) 6D in round 10 and missed her opportunity for early qualification. But with 9 wins she is virtually guaranteed of a promotion. With 8 wins Jin Shan 6D should have a good chance to be promoted too. Thanks to wolfing instructions, I was able to navigate my way to the Go congress. 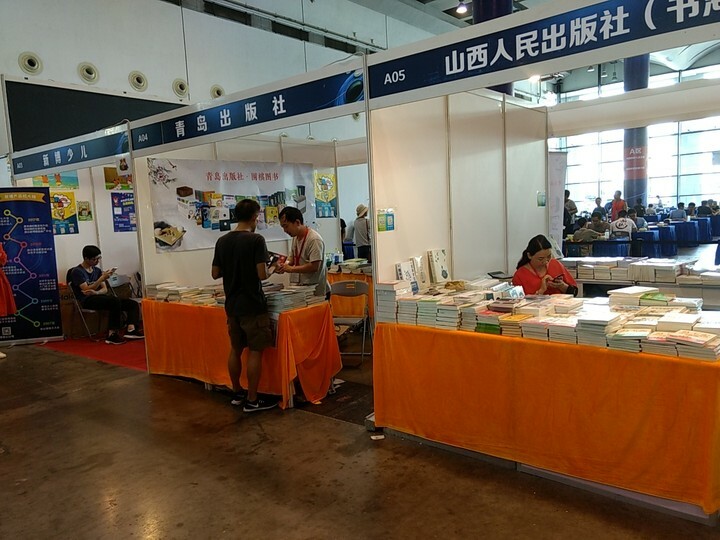 Although I know NanNing since many years, that was my first time at the International Convention Center. The first hall that spiked my interest was (rather unsurprisingly) related with AI and teaching technologies. 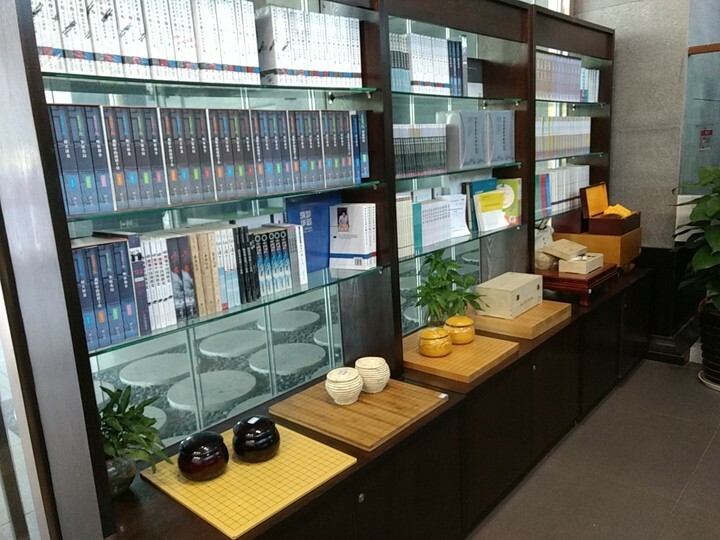 The second part of the hall was about go technologies. 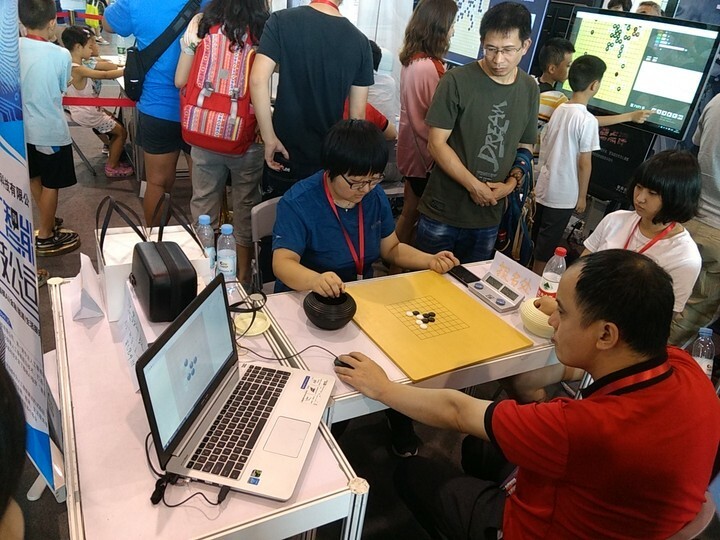 Go playing robotic arm (video) and "smart goban". 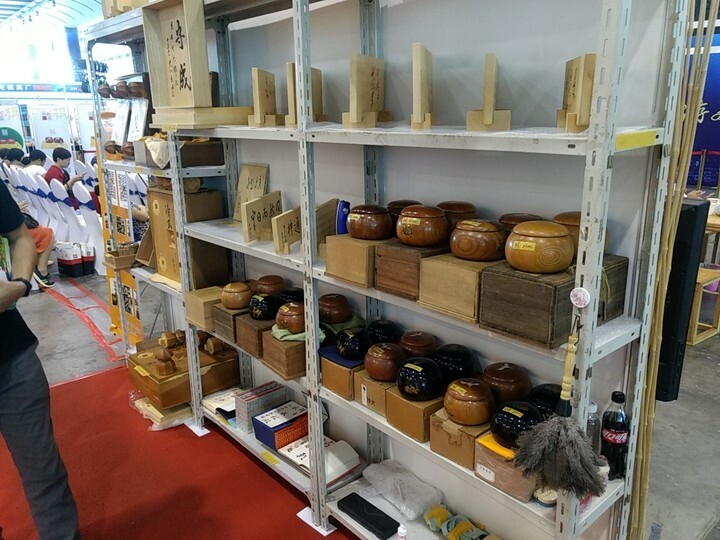 Smart goban (video) seems to be the newest trend, with 5 different companies showing their products. I am very enthusiast with this technology. 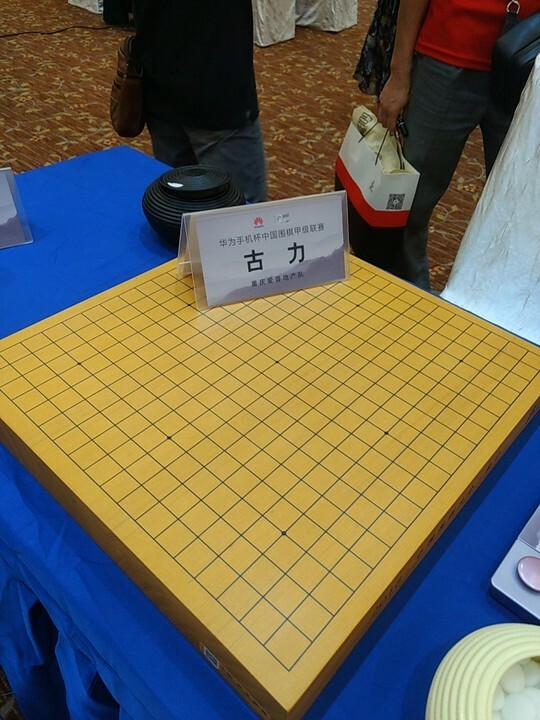 I posted a video about those boards on /r/baduk recently but I think it was removed by the mods for some reasons, so maybe not every body share my enthusiasm for smart goban. So if you have question, ask directly on this thread. Another trend is about Go learning app (tablet, or computers) to help rise children interest, or help teaching schools manage their students. 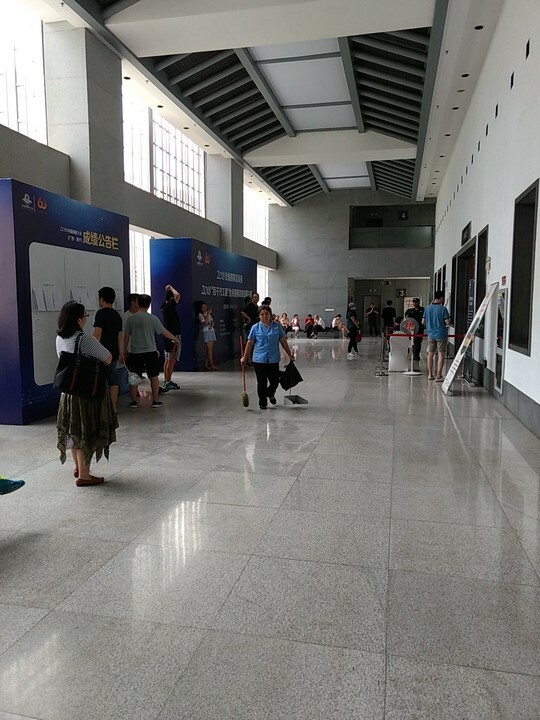 Golaxy was in this hall as well, showcasing their AI. 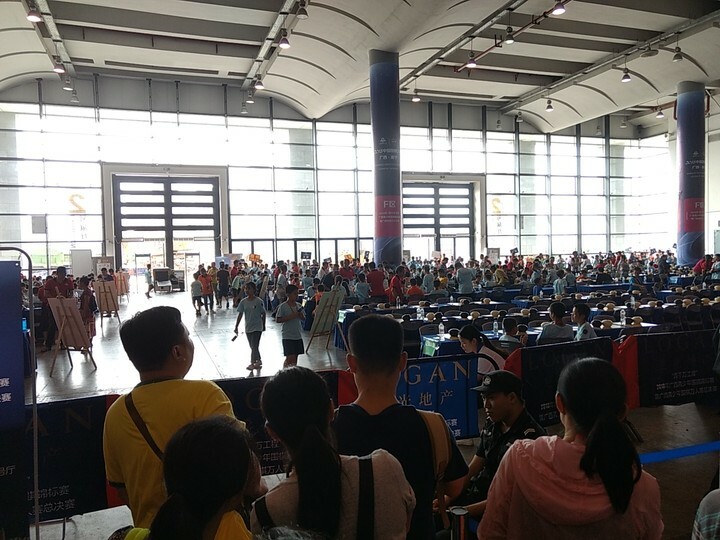 Then, on the other halls, where various Go competitions. Including one with foreigners from south Asia, and one competition similar to pair go, but with a 3 vs 3 format (first time I hear/see that). That 3 vs 3 competition gathered quite a lot of players in fact, and can be played as family team, I found it pretty cool. 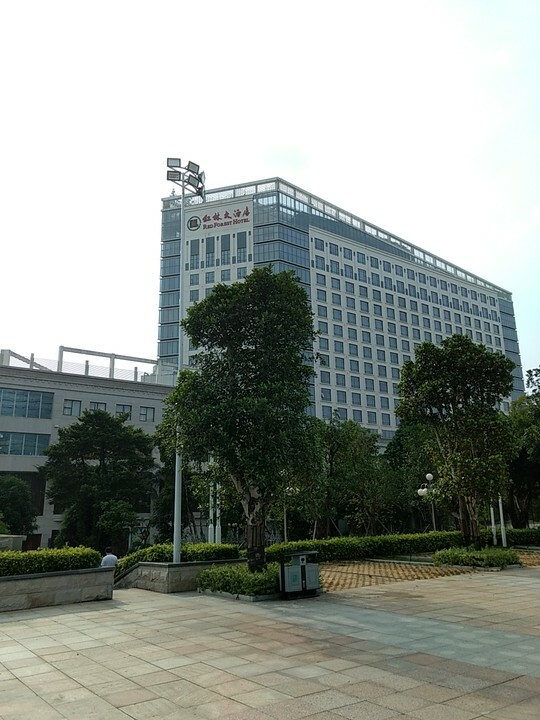 Then, after spending a couple of hour at the Go congress, I went the the Red Forest Hotel, where some A leagues matched were played on that day. In fact, all the games were over already, except for one. 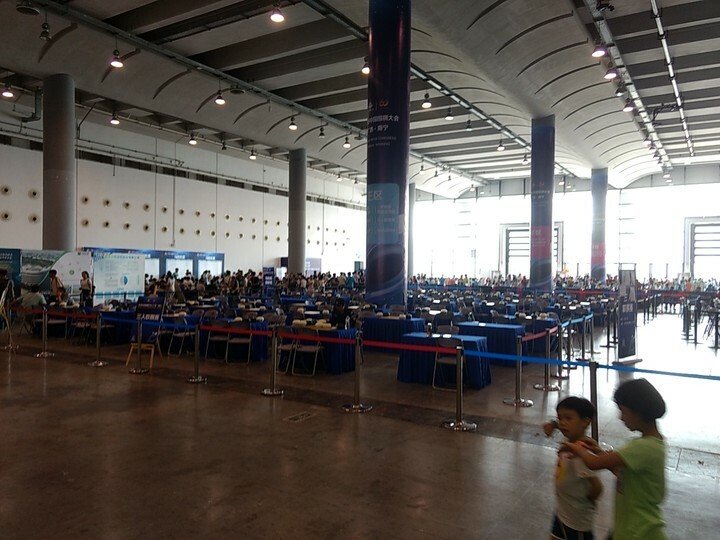 To my surprise, I was possible to enter the playing hall, but I guess it's because there was only one game still on going. 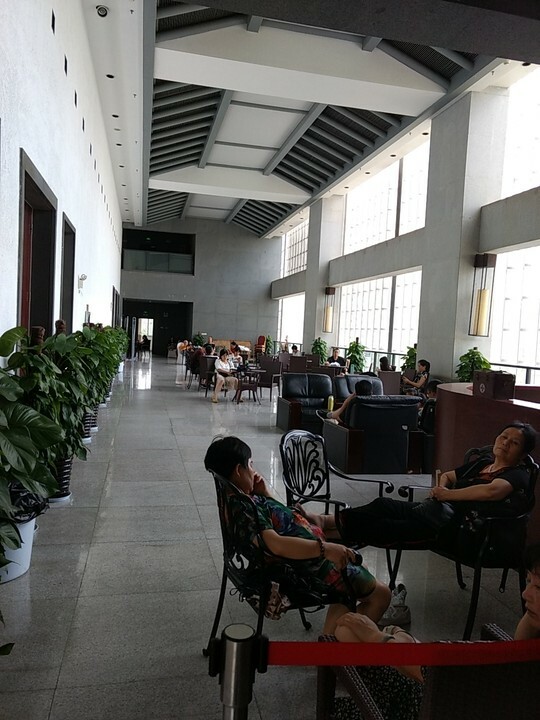 Otherwise, there was a "waiting hall" with screen for people waiting outside. Several pros were still inside reviewing their games. Here is a short video of the last ongoing game, they are on bioyomi, so you can have a look at the set up. Many go enthusiast were there, trying to get autographs on fans or Go books from the pro, and taking pictures. As a player, I would have been upset to have so many people taking a close look on the game and taking pictures, but they seem to be used to that. Although people were moving all around, they were still relatively quiet anyway. pnprog these are really nice pictures! And I like the videos too. The A-League game was Jiang Weijie vs Choi Cheolhan. I cannot believe that there are so many people around them even before the game ended. And when I said "Everybody will be there" I mean it! ALL the 48 A-League games of round 12 and 13 were/will be played in Nanning on the 13th and 15th. Were you able to participate in the afternoon simuls on the 14th? Edit: Actually it should be 56 A-League games. 14 teams -> 28 games per round -> 56 games for two rounds. Last edited by wolfking on Tue Aug 14, 2018 2:24 pm, edited 2 times in total. Round 11 and 12 were played on August 14th. We only have results of round 11. On the other hand we do know some new pros were produced in the last two rounds. 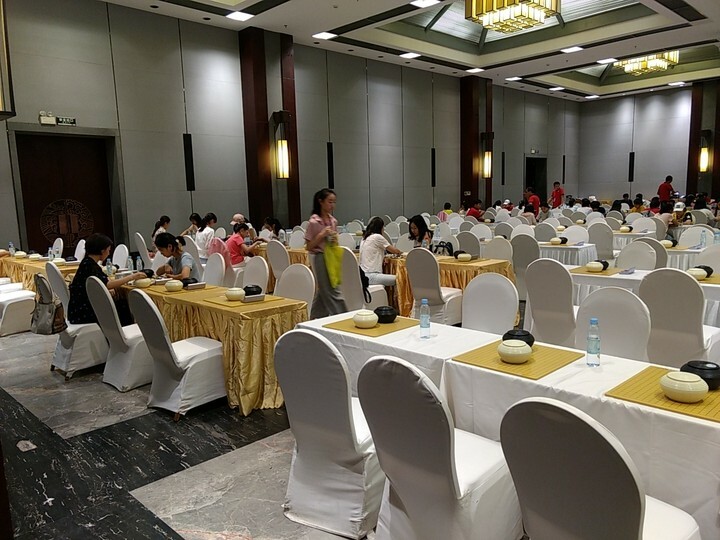 In the PQT women's group, Wu Yiming 6D beat Hang Xiaotong(杭小童) 5D, Chu Ke'er 6D beat Jin Shan 6D. Wu and Chu both earned pro status through early qualification with 10 wins. 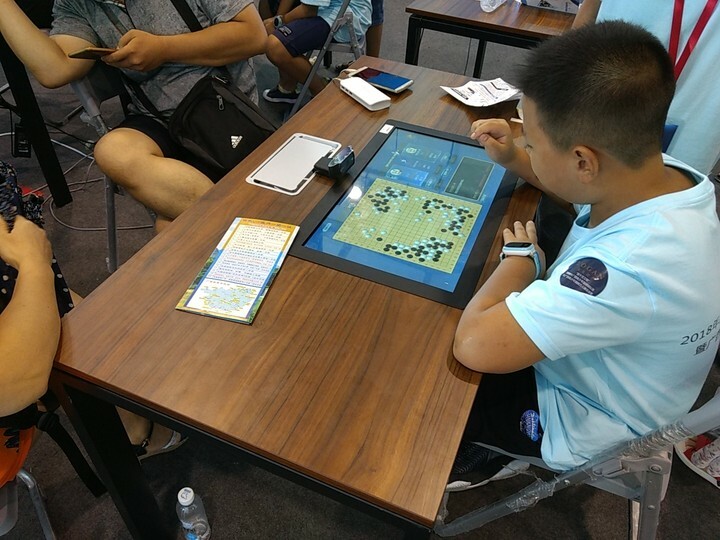 Just like Lu Liyan and Sha Xingyu in the men's group, they do not need to play the last couple of rounds. In the HTT women's group, all matches have been played since there were only 11 rounds. 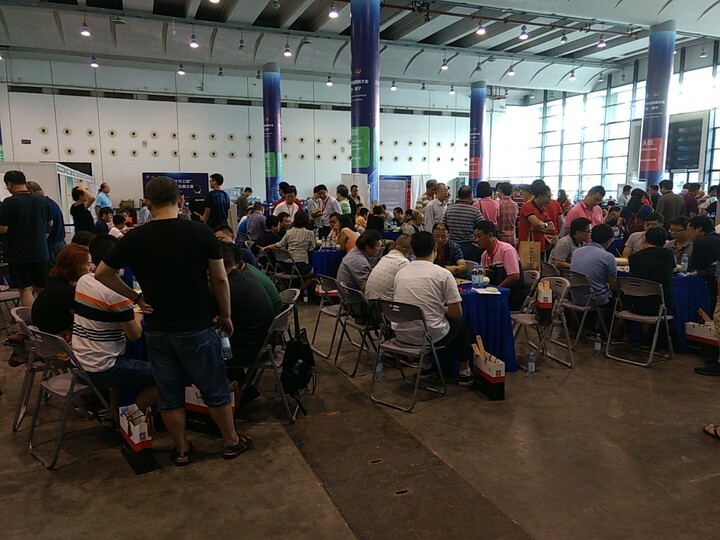 The four players that earned pro status were: Wang Zhen 6D, Lu Shuo(吕烁) 6D, Deng Xinyi 5D, Chen Yilin 5D. Actually their ranks should all be 1p now. 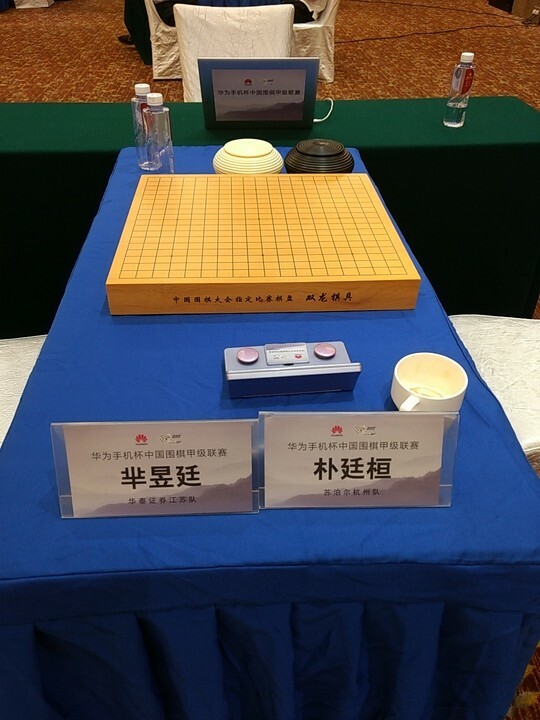 Qin Siyue(秦思玥) 5D and Zhou Lexuan(周乐萱) 5D finished at number 5 and 6. 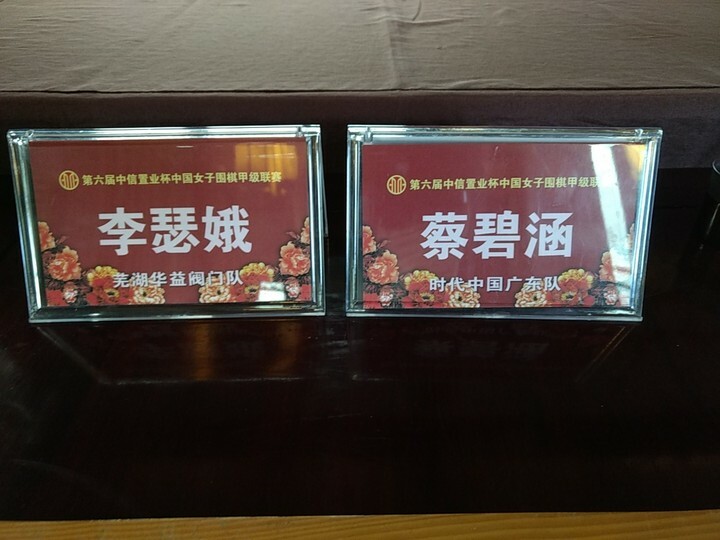 Qin and Zhou were promoted to 6D. Last edited by wolfking on Mon Sep 17, 2018 9:31 am, edited 2 times in total.